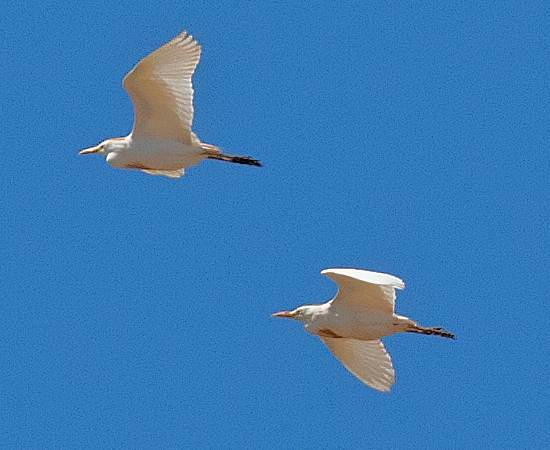 The Cattle Egret is a smallish white heron most commonly associated with the warmer parts of mainland Europe, Asia and Africa; they have also spread to the Americas and Australasia. Records of this bird in Britain go back more than 200 years. 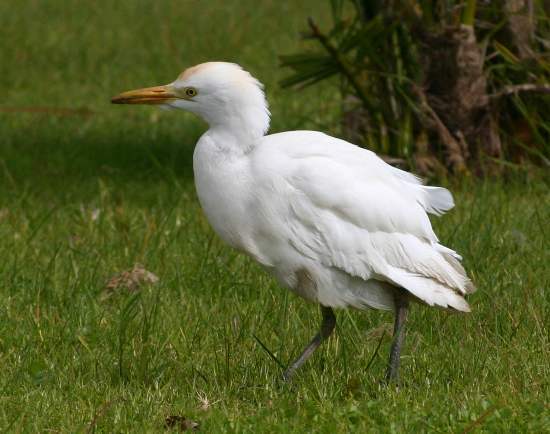 Recently these birds have been seen breeding in southern England, but most Cattle Egrets arrive as winter visitors, mainly to southern Britain but a few make it to northern Scotland. The number of winter visitors has increased in recent years. As the common name suggests, these little herons spend much of their time feeding on insects that have been disturbed from grassland by the hooves of cattle. They are quite unafraid of farm animals, but somehow they seem to have acquired a deep distrust of people, no doubt reinforced by the lamentable tradition in many parts of southern Europe of shooting anything that moves, including herons and even song birds. 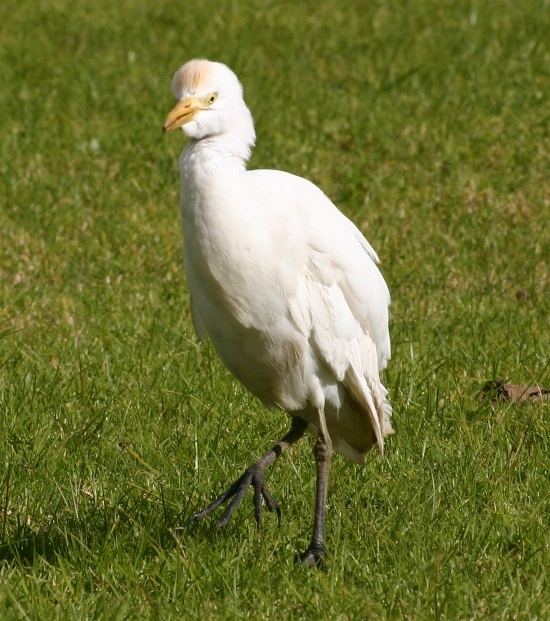 For the most part the Cattle Egret remains silent, but when startled it can make throaty 'rick-rack' sounds to warn others in the colony - not, therefore, a great contributor to the dawn chorus!